These armor plates developed and used by the IDF, this Hashmonai front armor plate is lightwieght and it used in special vests made for the Israeli army, these vests specially designed to fit these Hashmonai armor plates. This specific model is Hashmonai front plate and it used on front part of the body, this is not back plate, we also sell the Hashmonai back plate that designed differently and it used on back of the vest while this plate used on the front. 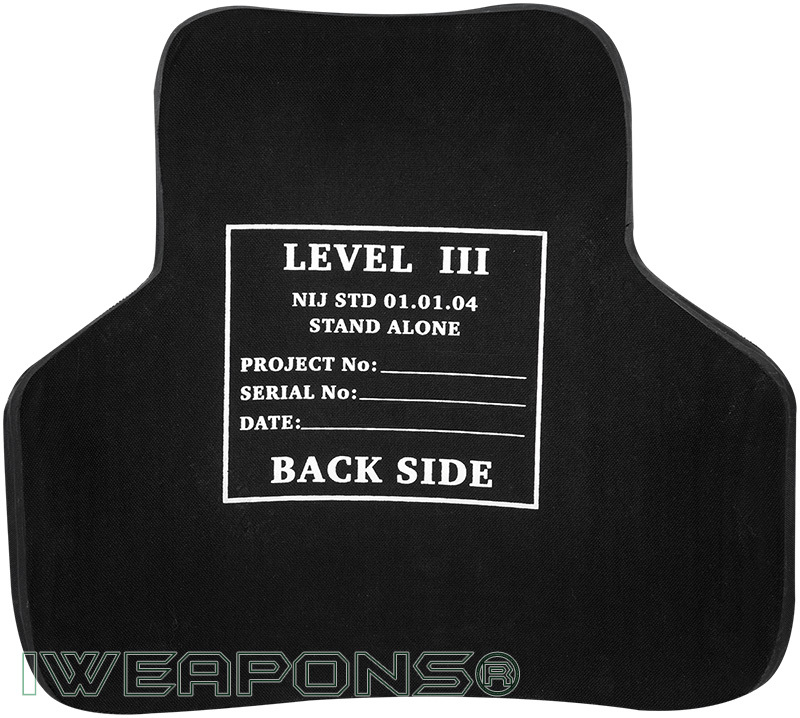 These Hashmonai ballistic plates have been made from High-Density Polyethylene (HDPE). This material is not cheap and it is suitable for making bulletproof plates because of its high strength to weight ratio. High-Density Polyethylene was chosen because of the factor that the bulletproof plate is relatively light, 3kg in weight. The Hashmonai front ballistic plate, which has dimensions of 40cm around the lower body and 28cm around the upper body is stand-alone, this feature means that there is no need for soft armor layer to be used with it. This hard armor plate has been specially shaped like a basketballer’s armless shirt in order to cover and protect the vital organs. 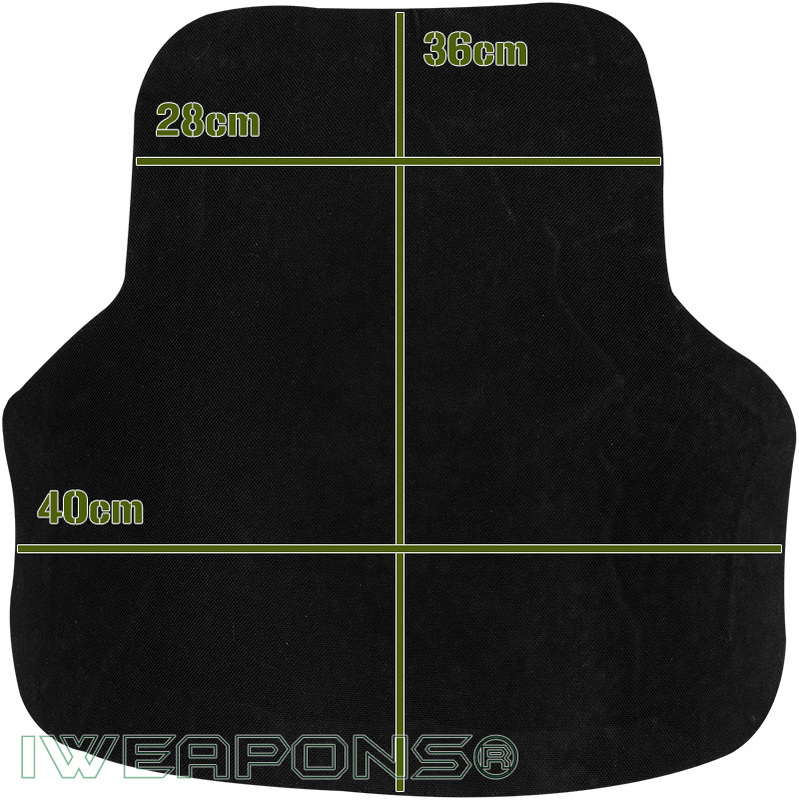 This means is that the Hashmonai armor plates will cover a bigger area than regular armor plates that usually come in 25x30cm area of protection. This plate allows for better mobility of the wearer. The wearer can swing the hands through 360 degrees without any hitches, and it is particularly useful in situations that requires the wearer to run for a long distance especially while holding a gun. This plate was specially designed this way so the soldier can also sit comfortably without the plate high will press the neck or the legs and will allow the soldier to sit for long period of time. Hashmonai armor plate is not meant to repel a bullet like a ricochet because if it bounces off with too much energy, then it becomes another lethal weapon. These Hashmonai bulletproof plates are able to absorb the force from a bullet. 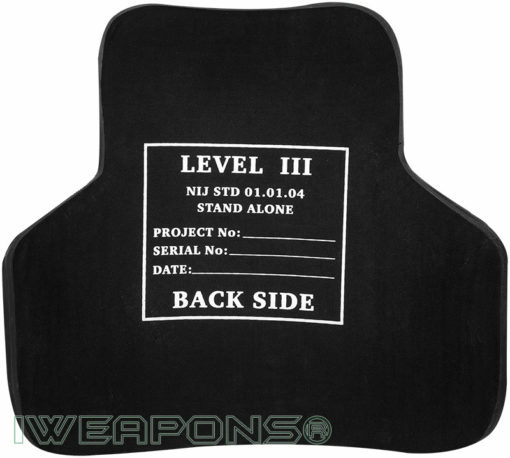 These Hashmonai plates come in level III rating and they highly recommended to be used as they lightweight and can stop rifle fire, and they do not require any additional ballistic material as they stand-alone.